While Gizmo5 is closing down having outlived its use to Google as a VoIP Solution, Session Initiation Protocol (SIP) can provide a viable alternative for low cost calls. Now anyone with a SIp to SIP account can call Google users for free, according to Disruptive Telephony. The blog written by Dan York states: "As we are off building the future of communications over IP, I have wanted to include Google Voice into that mix. Now we can! At least... unofficially. Perhaps at some point Google will come out and formally promote this capability?" He says that we are about to see true Voice over IP from Google Voice. 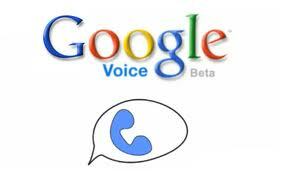 It would allow you to bypass a Public Switched Telephone Network and make a direct VoIP call to Google Voice. This also has great audio and video potential for users. You can connect with a contact who has a Google Voice number by signing up to a free SIP to SIP service or using a SIP app. The connection to the Google Voice number would therefore be free of charge by ringing PHONENUMBER@sip.voice.google.com. sees this as the future of calling and much more appealing that getting a bundled package from a mobile operator. However Disruptive Telephony adds and addendum - the SIP service may not work for all Google Voice users unfortunately. 0 Response to "SIP Solution to Google Voice"